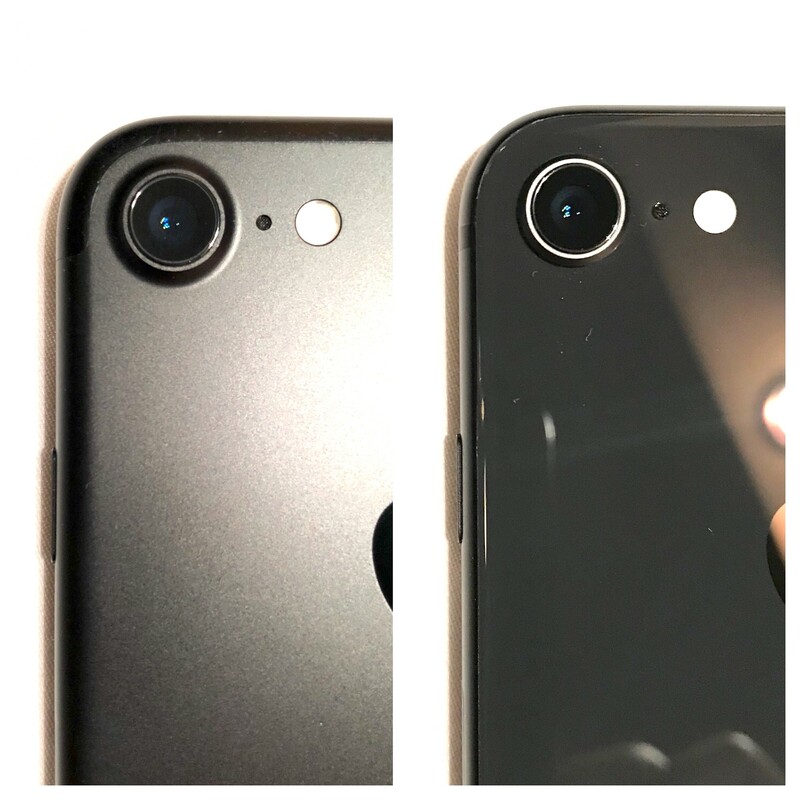 First look on iPhone 8 and iPhone 7 comparison shows that phones have more in common than differences. As usual a little bit faster than previous model. Little bit heavier. Same size. Compatible with existing accessories. iPhone 8 support charging with 14.7 volt (up to 80%, using Apple USB Type-C power adapter). But quick charge test shows more or less same charging time for both iPhone 7 and iPhone 8. Same need to use case because of bumping camera. Plus, another reason to use case with iPhone 8 is because of its glass back. It may be broken and it get dirty looks fast. Minus one reason for the case is less slip grip of iPhone 8. The phone is no longer try to fell from a hand all the time. When using a phone in case it is hard to say if it is iPhone 7 or iPhone 8. Screen scratch protection is still not perfect. Couple of days in pocket with coins and/or second phone – visible scratches. Same USB 2.0 wired sync speed. Type-C to Lightning cable is also USB 2.0 sync speed. Phone does not have Apple wireless charger yet, but Samsung and other Qi charges work for iPhone 8. 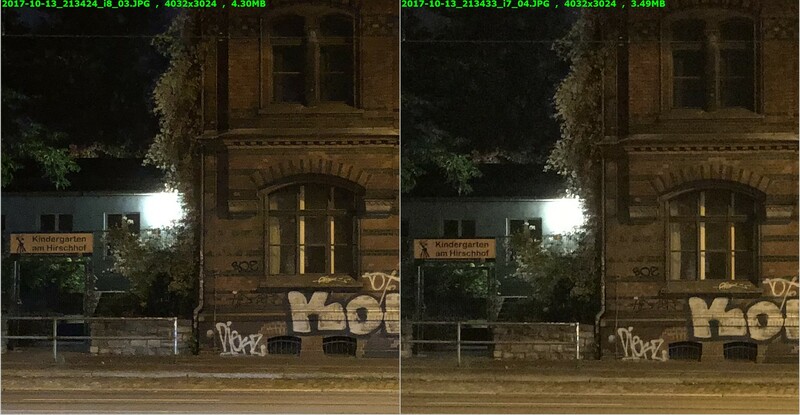 There is no huge differences in photo quality. Low light example. iPhone 8 is left image. iPhone 7 vs iPhone 8 performance comparison.